My goal: Set them up for a successful future now. 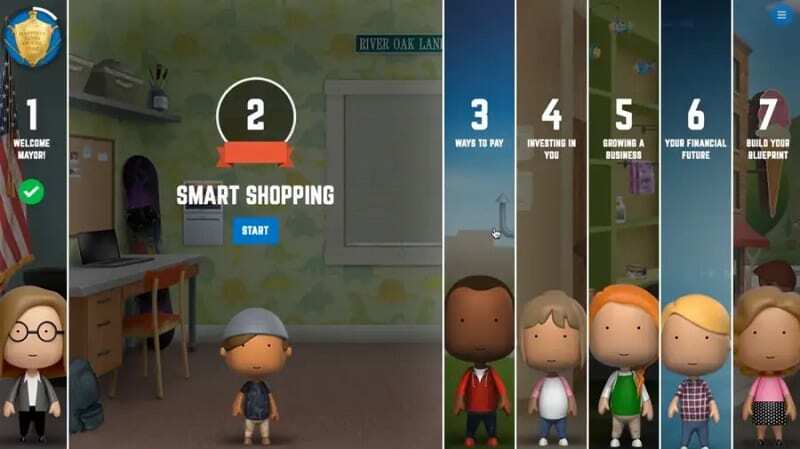 FutureSmart is an interactive resource designed to teach middle school students about financial responsibility. It's free to schools and teachers! Learn more at EVERFI. It’s a sad reality: Many of today’s students don’t have the financial literacy they need to navigate the modern world. Yet my middle school students are already keenly aware of the need to manage money effectively. Many have seen their parents struggle to navigate the college financial aid process for their siblings. Luckily, these hard life lessons have taught them that financial literacy is essential for everyone. One of my responsibilities as a seventh and eighth grade AVID* teacher is to teach my students skills for success in the real world. For me, that means teaching them how to manage their finances, make sound decisions, and become financially responsible. In the past I’ve had trouble finding time to devise a curriculum that teaches this in a meaningful way. I’ve found that free curriculum is often flawed, but that couldn’t be further from the truth with FutureSmart. The story-based narrative and interactive exercises help kids learn to make real-life decisions about their personal finances. They also teach them how to achieve important goals around saving money, education and career planning, and budgeting. Not only that, I know I can reach out for tech support with questions about the lessons at any time. This is definitely above and beyond what you might expect from a free platform. It fits into my curriculum. FutureSmart takes about 45 minutes, though because it is self-paced, students finish levels at different points. It has seven levels, so our goal each time we play is to pass one level. The students who pass all seven levels get “certified.” They love printing and showing off their certificate. Even better, EVERFI tracks and organizes each student’s scores by class in a report. It is easy for me to monitor success and progress. Kids love the pace of personalized learning. Students have the freedom to access the curriculum in their own way. Once students complete the first FutureSmart module, “Welcome Mayor,” they are free to tackle any of the remaining six levels in any order they wish. Some students choose “Growing a Business” because they want to see if they have what it takes to run their own business venture. Others are curious about “Ways to Pay,” in which they help a character follow a budget as he picks out things for his bedroom. The “Build Your Blueprint” level is the ultimate because my students can design a plan around their aspirations and match their talents with a career. Good curriculum lets students explore their dreams and make mistakes. I’ve seen a ripple effect in the lives of my students. My students are not only transferring what they are learning about financial management to their everyday lives, they are sharing that knowledge with the adults in their lives. One of my students came into my classroom the day after playing FutureSmart with a big, proud smile on his face. When I asked him why he looked so happy to be at school, he said, “I taught my mom what interest was when she bought an iPhone last night. I saved us so much money!” We high-fived like we had just scored a touchdown in the Super Bowl. “Yes,” I thought, “this is what it’s all about!” What struck me most was not that he saved his mom some money but the realization that my students are actually teaching their parents. Another student turned to me while she was playing FutureSmart and whispered, “This is why my parents are so stressed and angry. They have debt, and now I can see why they can’t get out of it.” She was determined to learn about the way credit cards work so she could help her parents make better choices. I don’t need to police my students while they are online. My lessons used to involve having students use Google to search for things. They would inevitably end up on YouTube watching Vine compilations in the background. Now, when my students are using FutureSmart, they never stray into a new tab on their computer. It’s visually appealing, age appropriate, and challenging enough to keep them hooked. It gives my students confidence to operate in the real world. One of the biggest takeaways for my students is mastering the lingo of money. Before my students embark on a level, I front-load vocabulary instruction. This strengthens their retention of the concepts. For example, in “Ways to Pay,” my students learn the difference between interest on a credit card versus using a debit card. I’ve seen firsthand how giving students command of language in the realm of finance is empowering. The FutureSmart content and lesson plans are all there, ready to be used! After you set up your teacher account, simply create a class list and share an access code with your students. I use an easy-to-remember system for student usernames and passwords, so logging in is never an issue. It feels good knowing this will help them for years to come. 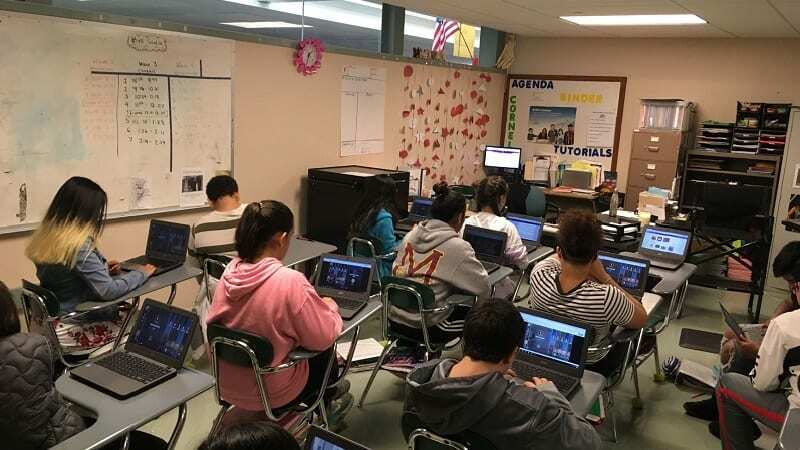 I have been using FutureSmart for two years now and can honestly say it has empowered all of my students with the knowledge that they need to handle financial decisions in their lives. It feels good that I am supporting learning that is going to make a difference. One day they will remember one of the lessons, and it might save them money or stress. As corny as it sounds, that kind of impact reminds me why I teach. *Advancement Via Individual Determination: A readiness program designed to help students develop the skills they need to be successful in college and in real life. I teach Advancement Via Individual Determination (AVID) which prepares my students for success in their lives. I am a proud third generation teacher in the city of Worcester, Massachusetts. Beyond teaching in my community, I love to see the world with my husband and two daughters.